The international hip hop festival – Breakin’ Convention – will run from 1-4 May at Sadler’s Wells and Lilian Baylis Studio. Breakin’ Convention has firmly established itself as one of the major highlights on the British dance calendar and one of the world’s greatest celebrations of hip hop culture. 2015 will see performances from UK and international companies and crews, the 12th year of this hugely popular Sadler’s Wells Production, hosted and curated by Associate Artist Jonzi D.
While Breakin’ Convention is an event for the whole family, for the first time this year there will be an adult-only evening of entertainment in the Lilian Baylis Studio, an intimate show blending stylish cabaret, circus, live music and burlesque with hip hop. The main festival on Saturday 2 and Sunday 3 May sees Sadler’s Wells’ foyer transformed with live DJs, freestyle dance jams, graffiti exhibitions, workshops from top international artists and live aerosol art. Participatory activities will take place pre-show and during the interval. Full line-up to be announced 12 March 2015. Artistic Director of Breakin’ Convention and Jonzi D Projects, Jonzi D has been actively involved in British hip hop culture in clubs and on the street since its genesis in the early 1980s. Since graduating from the London Contemporary Dance School, he has been committed to the development of hip hop theatre, in his former role as Associate Artist at The Place and by creating and performing dance theatre pieces worldwide. Breakin’ Convention is committed to celebrating, elevating and supporting hip hop dance theatre: the company works with the most respected, innovative and inspirational hip hop artists in the industry. Through its world-renowned international festival, professional development, youth projects and educational programme, Breakin’ Convention seeks to position hip hop dance alongside more historically established artforms. 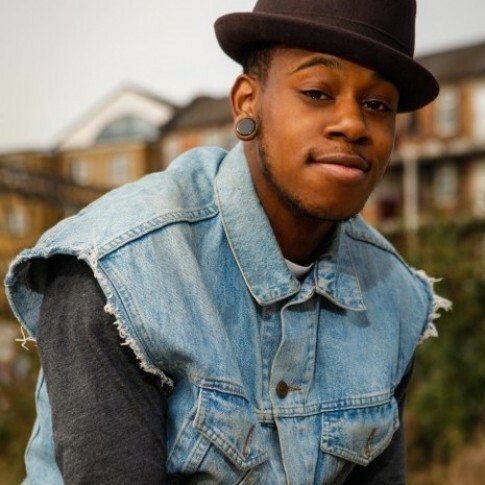 Ivan Blackstock is a well-respected hip hop artist within the dance theatre world, the commercial world, as well as on the hip hop battle circuit. He undertook training at two prestigious dance conservatoires, namely the Urdang Academy and London Contemporary Dance School, during which he took a gap year to join The Pet Shop Boys on their world tour. I have always been dancing since I can remember. I have always been a fan of Michael Jackson, MC Hammer & Bobby Brown but I took my first dance class at the age of eight in a dingy hall in south London, after seeing my cousin performing and opening for a well known US boy band at the time. to Battersea at 10 or 11 years old twice a week to make rehearsals and training by myself. My Mom would drop me off when she could but she was juggling two jobs and my younger sister. My first performance was quite soon after I joined my cousin’s dance crew but professionally it started at 17 years old, and I was on a world tour with the Pet Shop Boys at 19. How did you train and what was a typical day like? I trained with many established street dance companies and teachers in London, from Sisco Gomez to Boy Blue Entertainment. I also studied dance at a few schools… Lewisham College, Urdang Academy and London Contemporary Dance School. My typical day was getting to ballet for 8:30am, taking various dance technique classes and also contextual studies until about 6pm, then taking a street dance class or rehearsing with my dance company BirdGang from 7-11pm. I would get home and be in bed for about 12:30am and would then repeat. My typical day now is prepping for the next choreographic project. Having meetings, writing emails, seeing shows. Very fun I must say. Yes, I always take class when I can. When you get older you have a lot more responsibilites so it’s not so easy to commit to dance classes as you would when you are younger. Wednesday is the day I religiously take time to take class and I also try to train by myself at home: I find it therapeutic. I love both to be honest, but at this stage in my career I prefer choreographing. I like working with different types of people as I find it really stimulating – each project is very different from the last. Also seeing the birth of my ideas from my head actually come to life with people paying to come and see it and walk out satisfied. That really does it for me. What’s the best part about performing in Blaze? Working with such a diverse pool of talent. Everyone brings something unique and special to the table. Also, my colleague from BirdGang Kendra Horsburgh is resident choreographer and dance captain and she is doing a great job putting the show together. Winning the Guardian & Hospital Club 100 award. Being a winner alongside Steve McQueen, The Rolling Stones, Helen Mirren, I feel very honoured especially as it was a public vote. So I must be doing something right! This might sound selfish but the feeling when I hear music that touches my soul. It’s very self indulgent. I can’t really explain it but that’s the best part of dancing, I feel. The road is long, the road is tough, but if you have patience, perseverance, humility, and foundation you will reach your destination. Working with my dance company BirdGang on future projects such as Breakin’ Convention and a few shows in Europe. Secondly I will be working with Dance Umbrella and the Young Vic in October. Kloé Dean: No Rest For Dancers! Kloé Dean, is a passionate and unique hip hop dancer, choreographer and freestyler; as part of one of the UK’S leading street dance companies, Boy Blue Entertainment, Kloe also leads her own all-female Dance Collective ‘Myself UK Dance’. 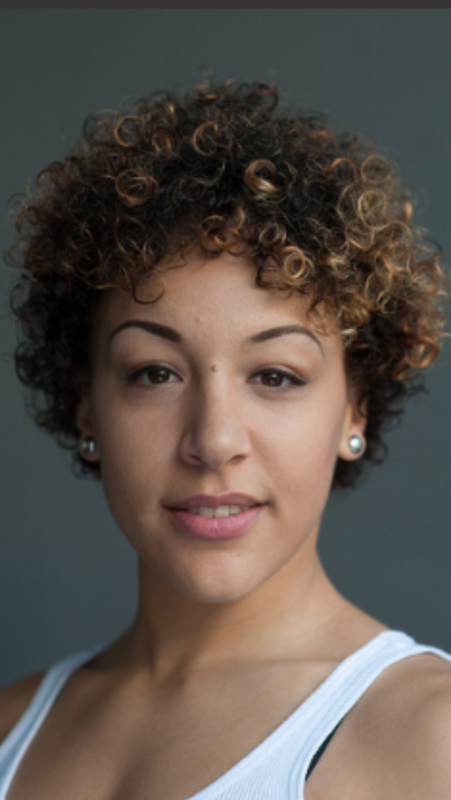 She is currently a cast member of the street dance sensation BLAZE. Kloé has performed in numerous productions, showcases and competitions in the UK and around the world and has performed as well as showcased her own choreography at the International Dance Festival Breakin’ Convention at Sadler’s Wells. I began dancing from a young age, around 3, just copying what I saw on TV and music videos. When I was around 11 I started a class at a small performing arts school, and participated in various creative after school clubs where I grew up in South East London. At the age of 15 I took my interest in dance, Hip Hop/Street dance especially, a little more seriously. I dedicated the majority of my time to dancing in my crews at the time “Millitree”and “Vortex”. I then went on to audition for Boy Blue Ent and have been dancing with the company ever since. That also inspired me to create my own company, Myself UK Dance. I was inspired to dance as I felt I could freely express my emotions and put my all into it. I loved the feeling of working hard and seeing the outcome of rehearsing for weeks. My early years of dancing were fun, they consisted of hundreds of rehearsals in car parks, back gardens, outside shopping centres, anywhere we could dance. We were always inspired by other crews and dancers but all had healthy competition and wanted to be the best! I started performing at primary school in weekly assemblies, at the age of around 7 or 8 years old. I mainly trained in hip hop crews put together by fellow dancers and trained myself. I attend many (and still do) open classes in various hip hop disciplines and freestyles at clubs, battles and jams. I started training at WAC performing arts College but was unable to finish my studies unfortunately. A typical day can differ everyday! Some days will be made up of training, teaching, and rehearsals. Or teaching, training, auditioning, rehearsals. Or training, rehearsals and performing. Or travelling, training, teaching, performing. It!s crazy sometimes! By training and sharing with others. Competing, showcasing, performing and practicing. Dancing with the amazing cast, learning from them, being able to tour different countries and share your craft! I think it would be performing at the Sydney Opera House with Blaze, doing the Olympic opening ceremonies in London, and seeing my own choreography on the Queen’s stage at Buckingham Palace for Coronation celebrations. The feeling of doing a good job on stage and banging out some good choreography. Work hard. Don’t let anyone stop you from fulfilling your goals and keep going! Never Give Up! Blaze Taiwan! Also, my own company, Myself UK Dance, will be holding our show ICON, celebrating International Women’s Week on Friday 21 March 2014 at Stratford Circus. Then I’m off to Brussels to perform with my company for a project called 7 Steps.